The radical geography community lost one of its leading lights last year when Susan Christopherson, Professor of City and Regional Planning and Department Chair at Cornell, passed away. In 1989, Susan wrote a short, germinal essay in the pages of this journal that challenged the persistence of marginalizing and minimizing social difference in radical geography. “On Being Outside ‘the Project’” would go on to make an indelible impact on feminists in geography, several of whom would follow Susan to re-shape corners of the field and to create spaces for women, working class people, people of color, and those located at multiple axes of these always insufficient categories, in order to produce knowledge differently in the discipline. 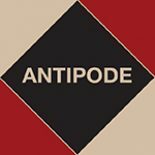 In memory of Susan and her numerous contributions to critical geography and planning, Antipode asked her colleagues and former students to reflect on her legacy. We are pleased to offer this Symposium in Susan’s honor, along with her original essay and Cindi Katz’s 2006 chapter from our Book Series’ David Harvey critical reader, which engaged it at length. The Editors would like to thank the contributors to the Symposium – Cindi Katz (CUNY Graduate Center), Katharine Rankin (University of Toronto), Jennifer Clark (Georgia Institute of Technology), Rachel Weber (University of Illinois at Chicago), and Amy Glasmeier (Massachusetts Institute of Technology). Their essays are available to download or read online below. Susan Christopherson nailed it with her letter to the discipline, or more accurately its radical outposts. Naming “the project” as such and pointing out its exclusions, occlusions, limits was at once a calling out of masculinist Marxists and a calling up to feminists and others who felt–and were–marginalized by much of the practice and writings of radical geographers, to say nothing of more conventional practitioners. Carefully documenting the importance of gender and race as categories of analysis in geography, Christopherson charted the problematic effects and limitations created by disregarding them in understanding political economic processes. But she also made clear the importance of position in theory construction and consumption, the situatedness of knowledge production and exchange, the intertwine of biography and history, the place of experience and the experience of place. Her anger was palpable, but in its folds were patient and lucid explanations of how and why things might change; had to change, though she doubted they would. Still she wrote it, and it mattered. When the piece came out, I was just starting my career. The year before, at the AAG meetings in Phoenix, Arizona, just out from under the rock of writing my dissertation, I had endured the shock of feminism’s absence in a series of sessions on structuration theory. Paper after paper by mostly, if not all, men (I don’t remember)–many in pink shirts (that I do remember)–marked the intersection between the social and the individual without so much as a mention of feminist theory or cultural studies, both of which had long been productively concerned with those connections and their radical consequences. Certainly, they were instrumental for me and so many others in recognizing and examining the deep and twisted connections between individuals and the social, cultural, geographical, and political economic contexts of their lives. Christopherson’s paper was affirming, inspiring, a solace, and a call to action. It felt like solidarity in print. It spurred and was part of a torrent of scholarly pursuits that made clear the difference that attending to gender and race makes in producing theory and discerning what problems matter and how. The recognition of “difference” and its consequences for theory and practice is at the core of the politics of knowledge–not just in what is considered worth studying, but in the “struggle over whose theories will have validity and significance” (p.84) as Christopherson made clear. This concern, she underscored, is epistemological, thereby exceeding any particular focus such as gender, sexuality, or women. She was intent on rocking “the project” of critical and Marxist geography so that its conceptual and methodological structure shook. She succeeded. Sort of. Christopherson’s article and the work of feminist geographers writing at the time, among them Linda McDowell, Suzanne Mackenzie, and Audrey Kobayashi, altered our objects of inquiry, stretched the social relations of production and reproduction to encompass often overlooked arenas of labor and insist on the importance of social reproduction, and called into question the ambit and scale of geographical analyses. Christopherson made the crucial argument that gender and race are not modifiers of class but interstitial and co-constitutive with it, that these relations are in constant flux and that they are not sensible without one another, but not in any sort of fixed or reductive way. Her piece focused on what she called “the politics of method” (p.86). Addressing the consequences of position, she marked how as Geography, or any field, becomes more diverse, the range of practitioners’ experiences and relationships to power will alter the concerns addressed, the arguments made, the methodologies deployed, and the theories drawn upon and constructed. Certainly, the slow but ongoing diversification of the field in the years since Christopherson’s piece has altered and expanded the sorts of research undertaken and valorized, the range of publications, and the composition of gatekeepers. So, then, why “sort of”? Geography is less white, less masculinist, less straight than it was in 1989, but the erasures, occlusions, mansplaining, and minimizing go on; somewhere I called it all “blah, blah, blah”, it’s really so tedious (see Katz 2006: 239). It would be so easy not to care anymore, but we must, not so much because it’s painful to not be fully recognized, but because it would be transformational to the field and to the scholarship of many of its “key thinkers” if they took seriously the work that is done outside of their comfort zones and the zones they keep creating to keep themselves comfortable. To paraphrase The Big Lebowski, “the project” abides, and that’s a loss for all who want to better understand the workings of social and environmental justice, and their manifestations and effects in our everyday lives as much as in our praxis. Susan Christopherson pointed the way toward and celebrated the potential for this kind of transformation of geography through new modes of teaching and teachers, and the sorts of recognition of subjectivity and its differences that would offer a “basis for resistance to authority, including our own” (p.87). She was pessimistic that the transformation she envisioned would come about because of the enormity of the struggle over “the construction [and reconstruction] of power through theory” (p.88). But in so many ways it has, and the ways it has ensure that while the struggle continues, the contours and consequences of geographical inquiry have been altered for good, and for better. “The project” abides, but to the extent that it remains impervious to recognizing the fluid relations of subject formation along with the place of political economic experience, and their consequences for theory construction, its power to define what questions matter and how they are answered by whom just keeps shrinking. The political stakes of working in and with a more vibrant differentiated community are huge, and occluded at great cost. Susan Christopherson knew that, and in naming and analyzing some of the possibilities and effects of remaking “the project” in and for an expanded field, she opened multiple spaces for thinking, teaching, theorizing, and acting that so many of us now inhabit and struggle to extend. “On Being Outside ‘the Project’” conveys a powerful message about the significance of teaching for a feminist project of transforming the field of human geography. The task of challenging disembodied theory requires teachers, not just theoreticians – teachers who can confront the elitism of academic geography by engaging the discipline’s increasingly diverse constituents in processes of theory-making. For Susan Christopherson, teaching was thus a key site of political struggle. Teaching was a process of discovery about the relationship between personal experience and theory-making, and Susan let her students see that and test the personal-political dimension of theory construction from diverse perspectives. She used the blackboard to explore ideas, share insights from her research in key sites of precarity, invite contributions and develop her work-in-progress. As a student, it was thrilling to recognize that dialogical exchange emerge months later as a publication. In the process, we were witness to the core tenets of Susan’s scholarship: studying up not down; tracking socio-spatial differentiation; and exploding conventions of whose daily life experience can and should constitute the material for theory. She may not have been optimistic, but she imparted strength in her students to recognize the challenges and persist in a counter-hegemonic project of “construct[ing] … power through theory” (ibid.). Susan was the epitome of the engaged scholar. Her training was in geography and she continued throughout her career to publish in geography venues. But she taught in a graduate planning program at Cornell, where she hoped to influence generations of practitioners and where she was appreciated for her boldness to take on research confronting unstudied, controversial, and applied topics. Her feminism informed these choices, and her scholarship centred not only on the experiences of women and other marginalized constituencies of planning action, but also on bringing fresh perspectives to key issues in economic geography – financial regulation, informal labour markets, local economic development. Her work on “Market Rules and Territorial Outcomes” (Christopherson 1993) in the banking sector, for example, presented an imperative for Polanyian economic geography well before its widespread ascendance. Her comparative analysis of market regulation showed us at a time of consolidation and deregulation of the banking industry in the U.S., and all the evidence of the resulting socio-spatial inequality, that things did not have to be this way, that there are other ways of organizing a financial system, and that these are not merely utopian (they are, rather, deliberately legislated and regulated). The much later work on the false promise of hydrofracking for local economic development and planners’ efforts to use land use policy as a regulatory device within New York State similarly involved challenging a multiscalar governance system where power is heaviest at the top (Christopherson 2015). In all her scholarship, Susan worked to get inside the issues and broaden the debate. She brought her feminism to bear on studying up, not only down, and on staking out new terrains of research in economic geography. If Susan positioned herself as “outside the project”, she also worked steadily through teaching, mentorship, and research to change the terms of engagement within human geography. Her legacy, as well as that of her cohort of inspiring feminist scholars within human geography, can be seen today in the recent calls for slowing scholarship, decolonizing the discipline, and understanding friendship as a site of relationality within the academy. As remarked by so many of the speakers at a session of the 2017 AAG organized by Jennifer Clark, Susan’s success at challenging and reshaping the project of human geography was underpinned by a particular grace and style – “she moved walls and barriers”, wrote colleague Mildred Warner in a contribution to that panel, “and did so with academic acumen and social grace”. That grace and acumen also infused her teaching and mentorship, and served as a model for students and faculty, especially for women, on how to work effectively in a field dominated by men and how to create openings to build a better, fairer world. 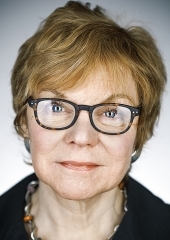 Antipode published Susan Christopherson’s “On Being Outside ‘the Project’” in 1989 just as her (other) career-defining work in economic geography was garnering substantial attention. I cannot speak to the debates in and around economic geography when Christopherson wrote “On Being Outside ‘the Project’”. I did not enter the field for another decade and the questions that she (and others) laid out about the construction of privilege and power in the field were simply extant when I arrived–not resolved but known. It is, of course, instructive to think back on how Christopherson’s critique has played out within the field. Almost 30 years after “On Being Outside ‘the Project’” I see this fight for theoretical centrality from my own perspective informed by my experience as Christopherson’s advisee and later co-author and colleague. As she wrote in “On Being Outside ‘the Project’”: “The question, then, is not the reconstruction of human geography, but the construction of power through theory.” (p.88) “The Project”, then, is ultimately about power. Our work on “power in firm networks” analyzed knowledge-intensive industries experiencing rapid transformations (Christopherson and Clark 2007a). We were mapping the evolution (both conceptually and geographically) of evolving and enabling industries–their technological origins, their network organizations, their products, their processes, and ultimately, the ways in which power was constructed and exercised in these networks and by whom. Policy implications arise from identifying and understanding the construction of political and economic power. Academic fields are places in constant dialogue and the questions and practices that animate them are produced; they are constructed. They are also highly contingent, fluid, and dynamic. As a consequence it behooves us to understand the connections between the work we perform, the privilege it produces, and the power that it confers. It is here that we observe the convergence and the continuity in Christopherson’s own sites of inquiry. As she was studying work–service-based work, project-based and contingent work–in a variety of industries from film to photonics, she did not divorce her lived experience from her analytical position. In our work we saw the power operating in the construction of firm networks because of our lived experience as participants in networks ourselves–with varying degrees of power and privilege. Christopherson did not view the academy as somehow insulated from the construction of hierarchies intended to differentially assign opportunities to some participants rather than others. In “On Being Outside ‘the Project’”, she further argued that by marginalizing questions about “real world” work, geographers misunderstood the labor markets essential to understanding production systems. Relegating difference–variation–to the outskirts of theory results in incomplete theories. Here, the relentless formalism of economic geography runs up against the messy contingency of the real world–“the emotional labor of the nurse or flight attendant” (p.86)–that which is difficult to measure, quantify, model, and compare across cases and observations. This is not to say that economic geography remains committed to formalism as a conservative approach to questions of political economy or politics, but rather the field remains formal in its own construction (and presentation) of self. Economic geography has a predilection for formal (quantitative) models and affection for categories and typologies. In short, it has an overarching affinity for fitting actors and processes into tidy, comparable boxes to better serve the construction of our grand theories: new regionalism, the new economic geography, evolutionary economic geography. Being outside the Project is hard. But constructing your own Project is even harder. Taking the time to identify the intersections and acknowledge the connections and stay in the conversation even when, perhaps especially when, your voice and your work are not heard is especially hard. It has now been almost three decades since Christopherson gave a voice to this critique of the field. In that time, she produced a substantial contribution to the field of economic geography. She also moved from being a part of the Project to ultimately shaping a Project herself. And that was what was required: moving from the being to the shaping. Power is derived from a capacity to act. Which returns us to the question of how work constructs privilege and assigns power to participants in the Project. Allusions to what motivated Christopherson to write “On Being Outside ‘the Project’” are found in Linda McDowell’s (1992) “Multiple Voices: Speaking From Inside and Outside ‘the Project’”, also published in Antipode. McDowell highlighted the 1988 Association of American Geographers annual meeting as a determinative event. I suspect we can all picture it. Those disciplinary debates that simmer on the back burner during the year while in your home department bubble up to the surface in an over air-conditioned, windowless conference room. Once again seated in the receiving audience watching in real time the social construction of the field–your field–and the marginalization of your own work in it. Sometimes there is one woman on the panel, or one person of color. Sometimes that person is you. On occasion, there is an undeniable spatiality to the peripherialization. Certain panels and papers are relegated to the smaller, more distant conference rooms and less desirable time slots. As geographers, we can be inconveniently attentive to the meaning of time and space in our own practices. We cannot argue that there are not spaces where we can speak and can be heard. But when we return to our home departments and turn the temperature back down on our exasperation, we then experience the next round of indignities. We spend the year watching our citation count seemingly stuck like a broken odometer on an old car. We are speaking but no one is citing. It is, still, all about the construction of power. At different points there have been discussions of a “transformed geography”. A geography that, for one thing, integrates feminist epistemologies–a geography that accepts variation in ways of knowing. I would further argue that a transformed geography requires variation in ways of participating–ways of working. Lived experience can again be instructive. It is worth noting that when Christopherson went back to her home department after that 1988 AAG, it was not to a geography department. This has been my experience as well. I cannot, however, claim to sit outside the social construction of the field. As part of the leadership in the AAG, as a journal editor, and as a tenured professor, such a claim would be neither honest nor compelling. I am very much a participant in a network of privilege. It is not clear, however, that this network of privilege is where the power lies. Christopherson argued that power was constructed through theory. It is not just a matter of getting a seat at the table but figuring out how to use it. One of the most striking moments in “On Being Outside ‘the Project’” is the discussion of fear. Christopherson cites fear as a key constraint for a transformed geography. “Fear of being left out. Fear of being labeled. Fear of not dealing with the “in” subject. Justifiable fear of never being cited except in a list of interesting, albeit peripheral, work … ” (p.88). We do not talk about fear much in the academy although it guides much of what we do. Our fears create a web of paralyzing internal contradictions–fear of being ignored, fear of being engaged, fear of being evaluated, fear of never being recognized, fear of being the lead, fear of forever following, fear of never being nominated, and ultimately, a fear of losing. This discussion of fear is essential. It is critical to recognize that one takes hits in this business. Some will be cheap shots; others are earned. Some can be avoided with wisdom and experience. Others are just coming your way. You will get knocked down. That’s not the hard part. The hard part is getting back up. The construction of power through theory requires not just rethinking but repositioning. In the end, it requires the courage and confidence to place your work inside the Project. It requires flipping the script. And, it requires a recognition that there are multiple Projects operating. As it turned out, Christopherson’s research on labor markets, work, and changing industrial structures from the 1980s proved prescient. In the subsequent decades work only became more flexible, more contingent, and more project-based. Those work practices and firm strategies that initially appeared marginal became central. The contingency that once existed at the lower rungs of the career ladder crept steadily upwards, concurrently operationalizing a whole new coded vocabulary about entrepreneurship, freelancing, coworking, and making. Everyone from economic geographers to technology commentators now argues that firm strategies (including locational choices) are largely determined by labor market characteristics (a theme in Remaking Regional Economies). Today, the reorganization of work is rapidly reshaping the spatial organization of cities–inside buildings through co-working and maker-spaces, and in central business districts through innovation neighborhoods and technology districts. It is worth noting that the attention to difference, to variation, and to power in the empirical research provided an accurate analysis of what was coming next as well as a theory that explained it. So, upon reflection, perhaps there is a transformation of geography happening after all. I am lucky to have known Susan Christopherson: she was my PhD advisor at Cornell and remained a mentor and confidante long after I graduated. Along with her other students, colleagues, and friends, I have felt her loss profoundly. My deep respect and admiration for Susan come from what I learned from her as my teacher and advisor–and, at a slightly greater distance, from watching her navigate the academy and reading her scholarship. Much of Susan’s personality, politics, and academic choices are reflected in her article, “On Being Outside ‘the Project’”. A six-page essay may not appear too significant at first glance, but I would urge readers to pick it up. It is much heavier than it looks. In this piece, Susan does nothing less than shake the pillars propping up the theories and methods in social scientific research by interrogating the politics of their production. In a similar manner as the essay, Susan had a way of surprising you. She often approached issues obliquely rather than head on. When discussing our respective research interests, she would ramble and meander (I remember thinking “where is this going?” a lot) before making some incredibly brilliant, synthesizing remark. Afterwards she would sit back, smile her crinkly-eyed smile, and let it sink in that she’d just bowled you over. Steering clear of intellectual fads, Susan stayed true to a few weighty themes that she plumbed in different ways throughout her career–regional economic adaptation, country-specific market rules, the co-location of production, and labor market flexibility. She was always extending herself into new subject matter but remained loyal to the fundamental issues at the core of economic geography. To these areas she brought a critical feminist perspective–not because she always highlighted the role of gender in, say, labor markets or corporate investment decisions (she didn’t). Rather, her feminism surfaced in her epistemological stance, as outlined in her Antipode essay. Here Susan argues that a transformed geography is one in which theorists “question the political agendas implicit in their explanations” (p.84). Asking academics to step back and cast themselves and their distinct experiences as agents in the production of knowledge was a radical request at the time. She points out that the dominance and invisibility of particular schools of thought in our discipline is not just due to the quality and cogency of particular ideas but to the power that particular academics wield institutionally. Before concepts like “situated knowledge” and “positionality” became popular, Susan was arguing for bringing new voices into the academy and for training these voices to translate their experiences into theory as a means of empowerment. In her essay, Susan is optimistic about the possibility of working class individuals, people of color, and women using “their experience and life history rather than replacing it with a set of obscure abstractions” (p.87). Our inclusion would lead to a focus on marginalized scales of analysis in geography (the body, the home, the community) as well as a new “selection of problems deemed significant for inquiry” (p.85). Susan took this directive to heart in her own professional life as she recognized the importance of harvesting the knowledge in one’s backyard. She studied “up rather than down” (p.84), building her theories inductively from what she learned observing, say, the inter-sectoral relations of firms in upstate New York and fracking in the Marcellus Shale. She found fruitful academic inspiration beyond the borders of global cities. Susan was busy professionally, engaged in what seemed like hundreds of different projects and always jetting off somewhere interesting for a workshop or conference. But she also seemed to know when to tend her own garden, literally and figuratively. I remember visiting her when she was recuperating from her first bout of cancer in her house in Ithaca, with its flowers and objects she’d collected on her travels. She had settled in by surrounding herself with beauty and love. She encouraged me to do the same and to take time for myself for non-academic pursuits (she had been thrilled to encounter me one night playing pool in a bar in town and tickled to hear that I had taken up the bass guitar to play in a band). She affirmed that it was important to have a life. And she definitely had one–a truncated but rich, influential, and well-lived life. I miss Susan. She was a marvelous friend and a beautiful woman. She had impeccable taste in clothes, dressing with a flare that matched her love of life. Certainly for me, what I learned about her at the end of her life was astonishing: from an early age, she demonstrated leadership ability and a desire for adventure. Her first trip out of the country led her to South America where she wrote home about the sunny clime and warm temperatures. From a big family, she was a role model for her siblings. Susan’s life was fast-paced, and she was always destined for big things. In her mid-twenties, Susan was set to join local politics in Minneapolis. But, with little hesitation, one day she made an about-face and decided to go to grad school at Berkeley. Susan did not come from a family of means. Packing her bags and preparing to move to California, to establish residency and hence qualify for in-state tuition, Susan arrived in the Bay Area a year before the start of classes. She taught in a private girls’ school to ensure she matched the state requirement for in-state residency. Ever the planner, Susan was a thoughtful person, thinking through carefully the actions she planned to take always with an eye toward the enjoyment of the grander world. Susan was a traveler. Flicking through pictures of the places she visited, one derives a sense that Susan accepted engagements based on whether she had been there before. From her travelogue and photographs, it would appear Susan was interested in seeing new places rather than returning to the comfort of those previously known. From Latin America to parts of the southern and western of the U.S., to Europe to the Middle East and beyond, her photograph collection captured the many places she traveled. Never caught without a costumery embellishment to embrace her infectious smile, it is a wonder Susan ever got anything done with her persistent desire to live in the world. Music was one of Susan’s great pleasures. She loved show tunes and classical music. Her house had many small and large collections, CDs among them. She knew many famous Broadway tunes and the actors behind their fame. Always an avid reader, books also were a favorite past time. Even as she read for a living, Susan still managed to sequester the needed time to read novels, poetry, and literature. Until her memorial, I had little appreciation of Susan’s tremendous contributions to the field of urban and regional planning. True to her job title as a professor of economic development planning, Susan had an extensive career engaging with and informing policymakers, citizen groups, foundations, and the State of New York about the practice of planning. There on a 30-foot long table, at her memorial Cornell’s planning department assembled Susan’s professional history all carefully cataloged and displayed with utmost care. In addition to her scholarly work, which will remain impactful, she also produced tens of expert reports, public commentaries, speeches, short missives, and longer tomes. Susan’s practice was both close to home, protecting her beloved Finger Lakes region, and global, as an expert on the world’s movie industry. I awed in seeing the breadth of her professional work, all carefully crafted revealing a steady hand and a careful eye for rigorous analysis. Susan brought enthusiasm and energy to group work. As a colleague, she was incredibly easy to work with and always carried her weight and more. Her contributions to our journal, Cambridge Journal of Regions, Economy, and Society, remain high points for all of us. I knew Susan as a colleague and friend. She was brilliant and made significant contributions to many experiences, her university, the lives of her family members and friends, her colleagues, the fields of geography and planning, and her neighborhood. She was always an insider to me, someone who spoke across many disciplinary domains, never discounting or disparaging different points of view. Instead, she loved engaging with ideas, always searching for new angles on long-standing debates, her mind was never still. Susan’s students provided eloquent commentary on a life well-lived, a world well-loved, and a career of sharing and exploring avenues large and small. Susan’s smile was ear to ear, her heart was big and open, and her mind was inquisitive. Three cheers for a life well-lived. This entry was posted on 23 October 2017 by Antipode Editorial Office in Other and tagged Amy Glasmeier, Cindi Katz, City and Regional Planning, class, feminism, feminist geography, gender, Jennifer Clark, Katharine Rankin, knowledge production, race, Rachel Weber, social difference, Susan Christopherson.